There are several benefits to living small. Not only will it allow you to be near your work place, but it can also help you cut costs and save time on transportation and even live a little greener. However, a compact life seems to be daunting for a lot of people, as the thought of being crammed into a tiny space doesn’t really appeal to those who are used to having wide open spaces to lounge around in and enjoy. With a little bit of creativity, though, you shouldn’t worry too much about small spaces anymore. All you need is some inspiration, a commitment to making your tiny space work, as well as an excellent construction team, and you’re sure to transform a tiny condominium into a great modern living space. Created by the Normal Projects/Michael K. Chen Architecture, the Unfolding Apartment is primarily a regular apartment with an addition of an oversized cabinet, which also doubles as a closet/changing room, bedroom, and study. At 24 square meters, this Barcelona apartment would seem more like a walk in closet more than a modern dwelling. However, with the genius of architect Barbara Appolloni, it became a fully functional and modern home in the heart of this hip city. Dubbed as the Lego apartment, discover how a full kitchen (with dishwasher and refrigerator), bedroom, living room, dining room, toilet and study has been squeezed into such a tiny space with ample storage. Home to TreeHugger.com’s founder, Graham Hill, this 420 square-foot apartment offers a functionality of a 1120 square-foot apartment in a jiffy. Created as a part of Hill’s LifeEdited company, it is the main project in its goal to promote living in small spaces. The apartment is designed by Catalin Sandu and Guerin Glass. Now, this is one of the smallest apartments that we’ve encountered. But since it’s in Paris, we understand that people will still want to live in it, no matter how tiny the space is. This is why we find this genius transformation is really impressive, as it makes an 8 square meter studio capable of being a fully equipped living space. Designed by the Kitoko Studio, the space is originally a maid’s room. As the space is so tiny, everything is designed to be pulled out and squeezed into, without sacrificing the comfort and chic aesthetics that the city of lights is well known for. If you’re not too keen on having to pull stuff out or push doors down, the MIT CityHome project may just be the right fit for you. 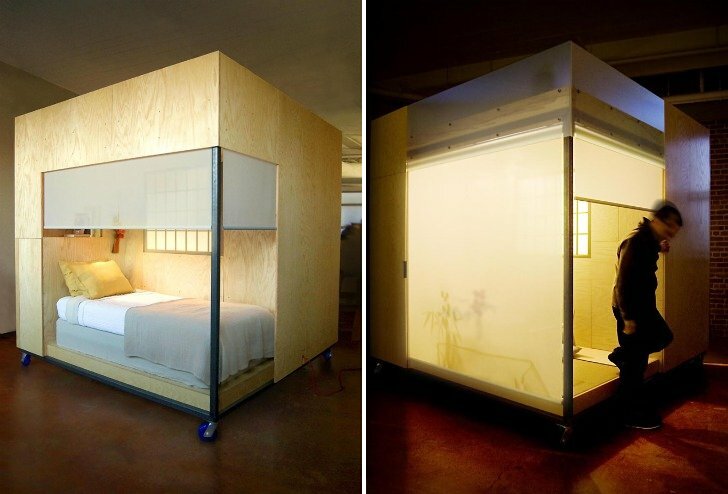 Designed by the Changing Places Group Lead by Kent Larson, the CityHome is basically a compact cube that is composed of several parts for various purposes. It contains the bed, kitchen, dining table, seating surfaces, and storage. Designed for rooms with 200 square feet, which is basically the common size of dorm rooms, it aims to triple the original floor area for more living space. What makes the CityHome project stand out, though, is that it is gesture responsive, keeping up with the latest trends in technology today. So instead of pushing and pulling, simple gestures will do and your intended results automatically take place. 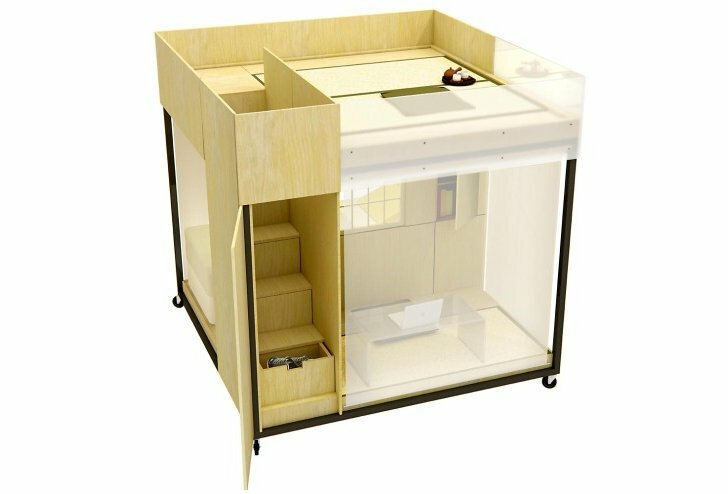 Designed by Feng Shui expert, Liu Ming, the Cube is a prefabricated modular loft furniture perfect for small living spaces. 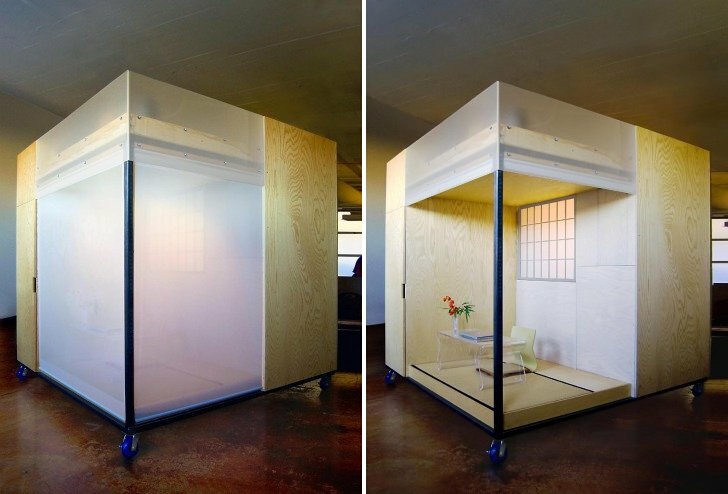 It measures eight square feet and can be perfect for sleep, study, and meditation. It’s steel frame makes it easy to relocate. These are just some of the top examples you can find when planning on transforming the teeniest urban space into a livable compact home. Functional and intelligently designed, you can really enjoy a great modern life with these innovations.